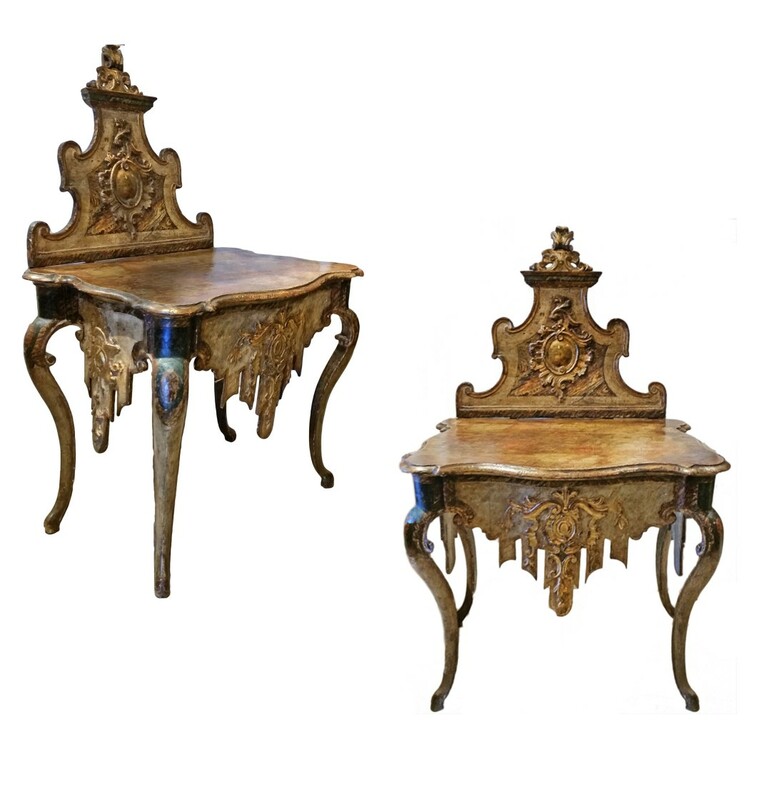 Pair of Venetian gilded and painted console tables. Italian. Circa 1780.